​Nkx2.5 regulates endothelin converting enzyme-1 during pharyngeal arch patterning. Iklé JM, Tavares AL, King M, Ding H, Colombo S, Firulli BA, Firulli AB, Targoff KL, Yelon D, Clouthier DE. 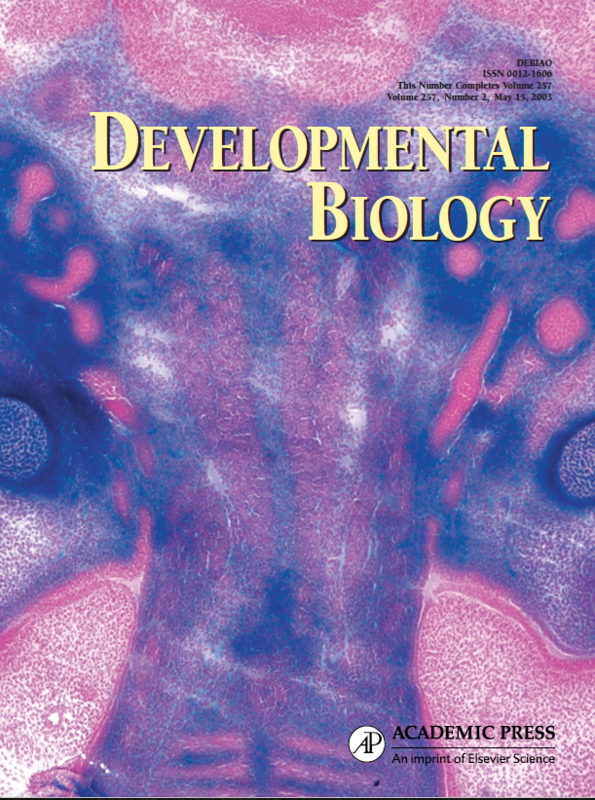 ​MicroRNA Profiling during Craniofacial Development: Potential Roles for Mir23b and Mir133b. Ding HL, Hooper JE, Batzel P, Eames BF, Postlethwait JH, Artinger KB, Clouthier DE. Front Physiol. 2016 Jul 14;7:281. doi: 10.3389/fphys.2016.00281. eCollection 2016. Exclusion of Dlx5/6 expression from the distal-most mandibular arches enables BMP-mediated specification of the distal cap. Vincentz JW, Casasnovas JJ, Barnes RM, Que J, Clouthier DE, Wang J, Firulli AB. Regulating Craniofacial Development at the 3' End: MicroRNAs and Their Function in Facial Morphogenesis. ​Tavares AL, Artinger KB, Clouthier DE. Curr Top Dev Biol. 2015;115:335-75. doi: 10.1016/bs.ctdb.2015.08.001. Epub 2015 Oct 1. Review. ​Mutations in the endothelin receptor type A cause mandibulofacial dysostosis with alopecia. Gordon CT, Weaver KN, Zechi-Ceide RM, Madsen EC, Tavares AL, Oufadem M, Kurihara Y, Adameyko I, Picard A, Breton S, Pierrot S, Biosse-Duplan M, Voisin N, Masson C, Bole-Feysot C, Nitschké P, Delrue MA, Lacombe D, Guion-Almeida ML, Moura PP, Garib DG, Munnich A, Ernfors P, Hufnagel RB, Hopkin RJ, Kurihara H, Saal HM, Weaver DD, Katsanis N, Lyonnet S, Golzio C, Clouthier DE, Amiel J. Am J Hum Genet. 2015 Apr 2;96(4):519-31. doi: 10.1016/j.ajhg.2015.01.015. Epub 2015 Mar 12. 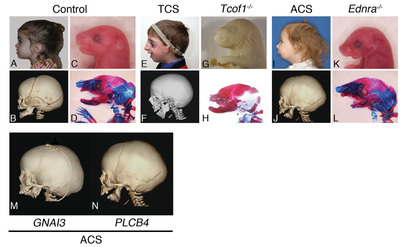 Hand1 phosphoregulation within the distal arch neural crest is essential for craniofacial morphogenesis. Firulli BA, Fuchs RK, Vincentz JW, Clouthier DE, Firulli AB. Development. 2014 Aug;141(15):3050-61. doi: 10.1242/dev.107680. Cre recombinase-regulated Endothelin1 transgenic mouse lines: novel tools for analysis of embryonic and adult disorders. Dev Biol. 2015 Apr 15;400(2):191-201. doi: 10.1016/j.ydbio.2015.01.027. Epub 2015 Feb 25. 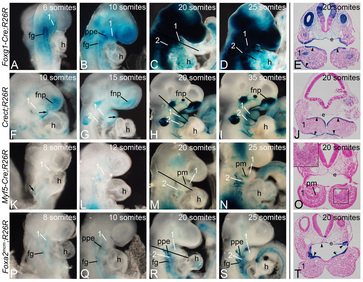 Understanding the basis of auriculocondylar syndrome: Insights from human, mouse and zebrafish genetic studies. Clouthier DE, Passos-Bueno MR, Tavares AL, Lyonnet S, Amiel J, Gordon CT.
Am J Med Genet C Semin Med Genet. 2013 Nov;163C(4):306-17. doi: 10.1002/ajmg.c.31376. Epub 2013 Oct 4. Review. Ectodermal-derived Endothelin1 is required for patterning the distal and intermediate domains of the mouse mandibular arch. Tavares AL, Garcia EL, Kuhn K, Woods CM, Williams T, Clouthier DE. Dev Biol. 2012 Nov 1;371(1):47-56. doi: 10.1016/j.ydbio.2012.08.003. Epub 2012 Aug 11. ​Identification and characterization of the zebrafish pharyngeal arch-specific enhancer for the basic helix-loop-helix transcription factor Hand2. Iklé JM, Artinger KB, Clouthier DE. Dev Biol. 2012 Aug 1;368(1):118-26. doi: 10.1016/j.ydbio.2012.05.003. Epub 2012 May 14.